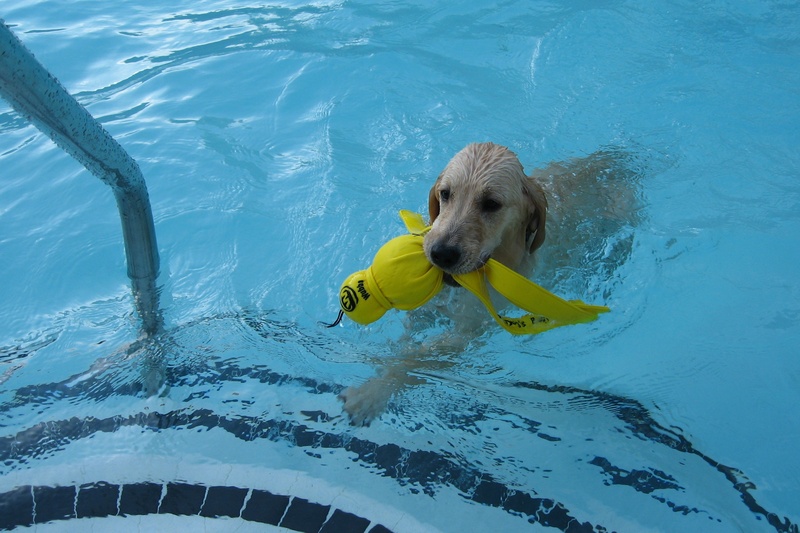 As the outdoor pools around the area begin to close after the summer, many have a day where dogs can come swim. 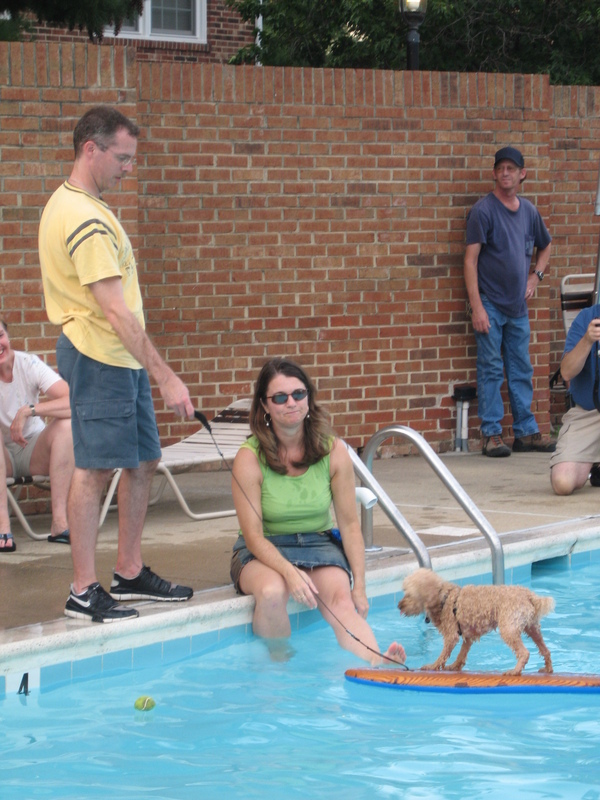 One of the first is the Annual Doggie Day Swim this Tuesday, Sept. 7 from 4 to 7 p.m. at the Old Town Pool in Alexandria. Considering the hazards of letting your dog swim in some of the natural waterways around here–bacteria in the creeks, undertows in the Potomac, not to mention leash laws–this is a great way to get your pooch some aqua-exercise, safely. It’s also fun to see how all the dogs react to the water, some dive right in, others want nothing to do with it. For the Old Town swim, there is a fee that benefits the Animal Welfare League of Alexandria, and all dogs must wear or show proof of vaccinations. Call 703-746-5553 for more information. Keep checking back for news of more area dog swims!